First it is important to debunk a myth: English Wine is not a poor and unworthy wine unfit for a Frenchman to wash the soles of his boots with! 'British Wine' on the other hand is very poor. The distinction resides here: wine labelled as 'English Wine' is made from grapes grown in England, whereas any wine labelled as British wine is produced on the UK mainland from grape juice concentrate imported in bulk cheaply from abroad. By its nature such a wine is likely to be very poor in comparison to the majority of wines from abroad. On the other hand English wine made from grapes grown in England (and Welsh wine from grapes grown in Wales) is enjoying a growing reputation as a quality alternative to European and New World wines. British Wine was made during the heyday of the British Empire as a convenient way of producing cheap fortified wines. Over time tastes changed and the British wine industry began to produce cheap dry white wines. These wines have always been scoffed at, in contrast to home grown ‘English’ and ‘Welsh’ wines which since the 1950s have made steady progress and improvement, to the extent that they now rival other European wines for taste, if not yet for popularity. One problem with English and Welsh wines really taking off resides in the poor reputation given to UK wine by ‘British’ wines. However, the 400 or so small vineyards that exist in Britain (the largest of which is based in Boxhill, near Dorking) represent a committed bunch who are doing English wine justice whilst selling it as a viable alternative in restaurants around the UK. English wines make particularly good light summer wines, and one feels that they should go down well as an upmarket a party, dinner or barbecue drink. Both Madeleine Angevine (the only specifically English grape) lend themselves well to summer drinking, whilst the U.K's sparkling wines are a slightly cheaper viable alternative to Champagne: the terroir in Kent and South East England is apparently suitable for sparkling wine, due to the chalkiness of the ground, hot summers and high rainfall. By rights, at a time when buying locally is in vogue (quite rightly, for both economic and environmental reasons) English wines should really take off. One feels what it may take is a charismatic English celebrity sommelier to champion the cause. Until then we can hope that the quality of English wine will spur on its rise! Specialist wine shops and even supermarkets will sell English wine. Try to avoid supermarkets, as the high quantities they demand from relatively small vineyards challenges quality. 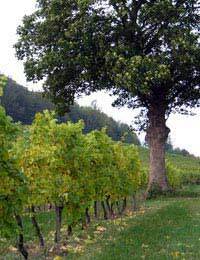 The internet is also a good source for English wine, with several dedicated sites. For a white try: Kemp’s Harvest Blend, made from Madeleine Angevine, Bacchus and Reichensteiner grapes. Its crisp apple taste make it one of England's most popular wines. For Red: King Coel, an award winning Red Wine, something of a rarity, made from Pinot Noir, Dornfelder, Rondo and Dunkelfelder. One interesting thing about English wines is that there is little difficulty in blending grapes traditionally associated with different countries – something that rarely happens in countries like France where wine making is a matter of national pride.